In his final film, comedian Robin Williams plays a talking dog who helps owner Simon Pegg save the world from aliens in Absolutely Anything. Co-writer Gavin Scott told Variety how dedicated Williams was to the film: “He was rock solid for us and so talented, so that makes his passing all the sadder,” he added. Also starring in the film are Kate Beckinsale, Eddie Izzard, Rob Riggle, and Joanna Lumley. 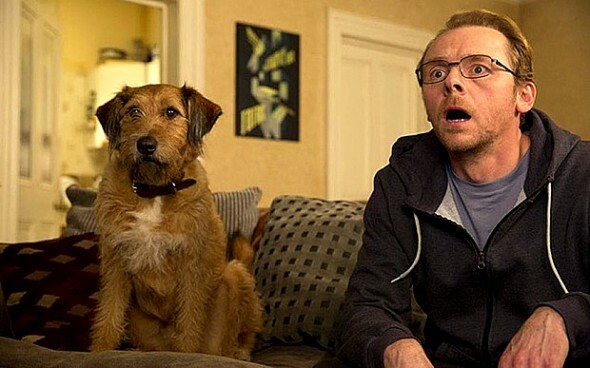 Absolutely Anything opens in the UK on August 14. No U.S. dates have been announced yet.